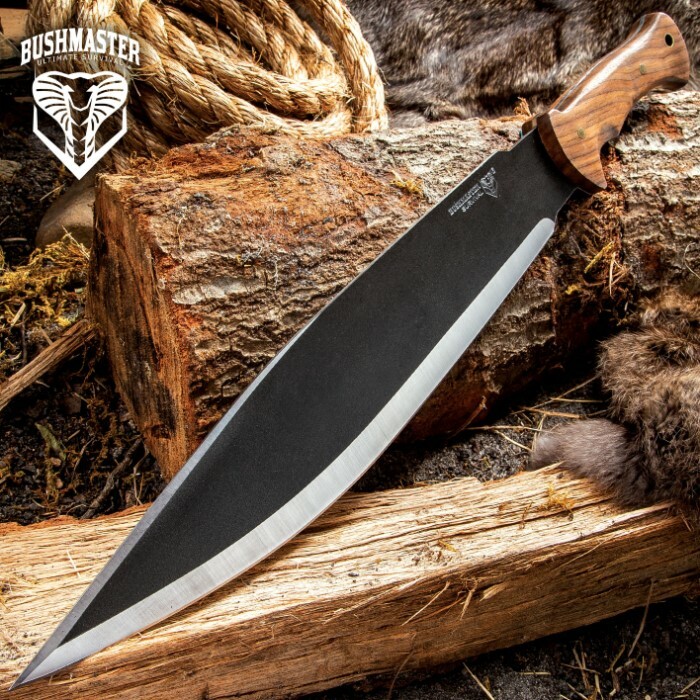 Just received the Bushmaster Bushcraft Smatchet and I am extremely satisfied with the service and product. 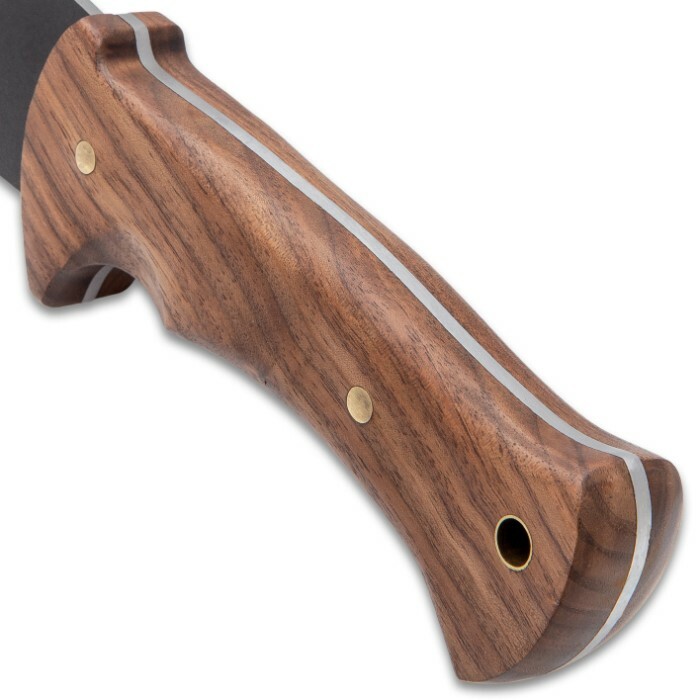 The full tang blade has a very nice heft, thickness and balance. Feels solid in the hand. 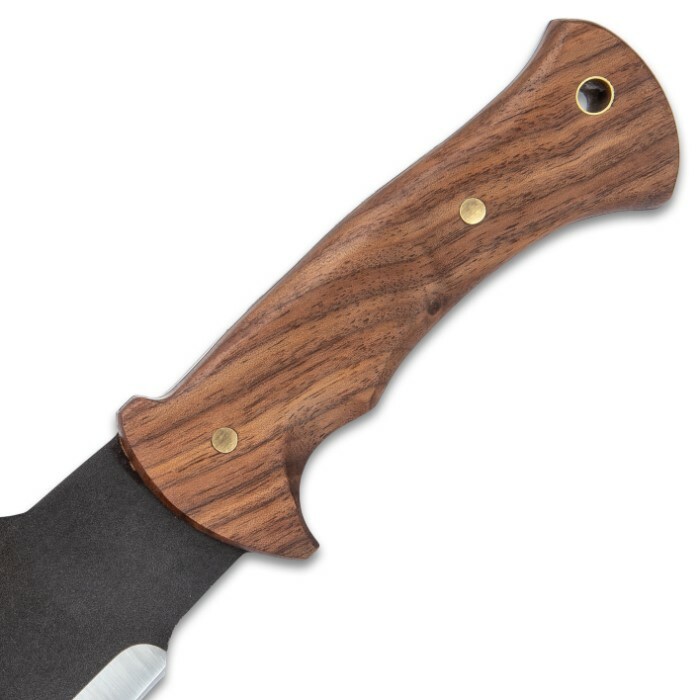 The sandwich wood handle is typical medium-sized grip for a machete-like blade yet easily remedied for larger hands by wearing gloves or adding a leather wrap. Very sharp right out of the box. The grind is nice and even all around. 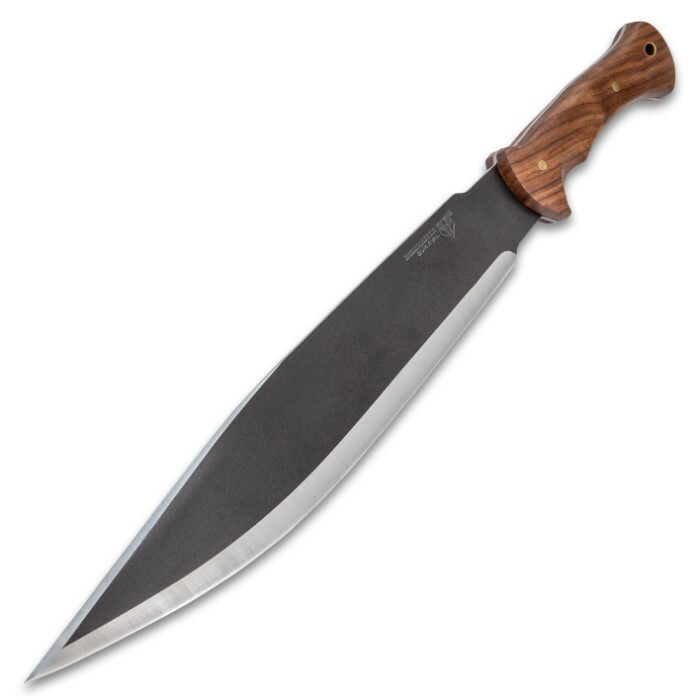 Has a false-edge that is nicely beveled and will assist with piercing strikes. For the money, this is an excellent buy. 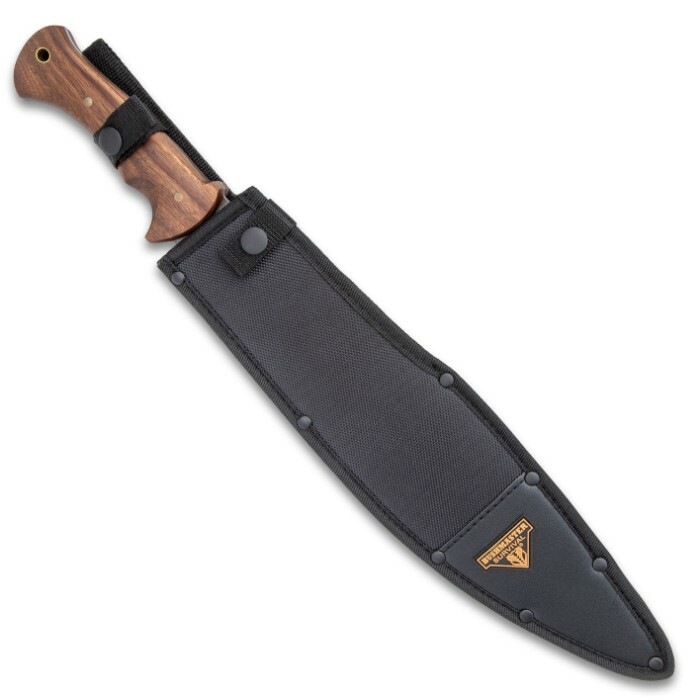 For anyone who doesn't know, 1095 steel is a strong, high-carbon steel that can sustain a lot of outdoor challenges - camping, hunting, target cutting. It is a true outdoor companion. 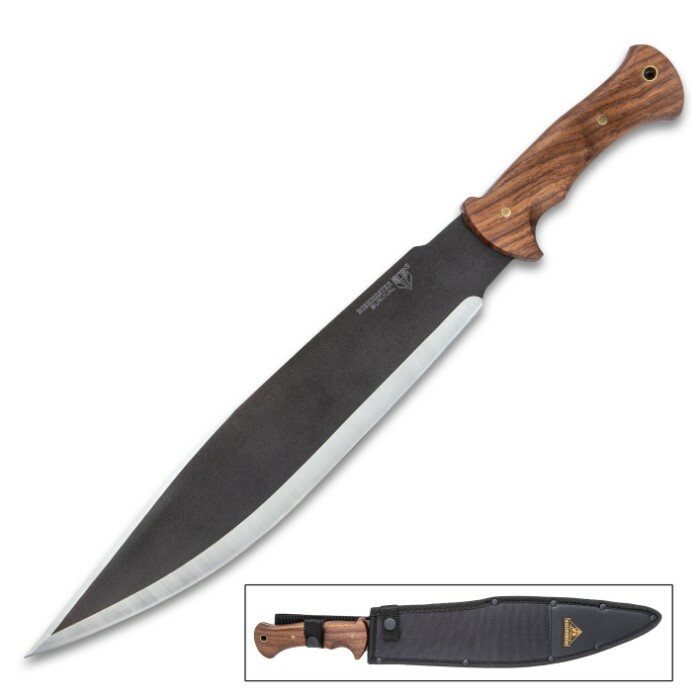 When dull, it will also take a lot of work or professional resharpening but the trade off is it will hold an edge longer than other lighter steels. It's a 5 out of 5 all the way around.